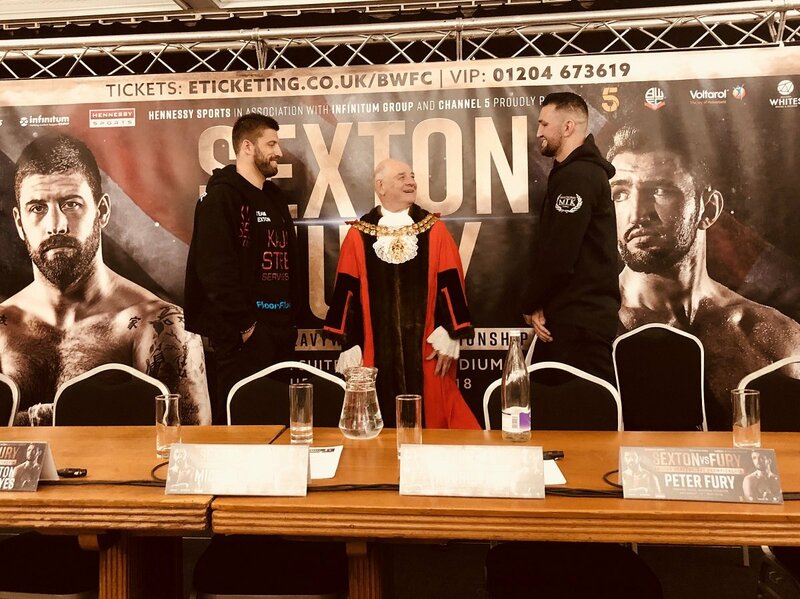 Hughie Fury and father and trainer Peter have delivered scathing assessments of manufactured ‘hype’ ahead of Saturday’s British heavyweight title clash with Sam Sexton. After controversially missing out on becoming a world champion in September when losing a majority decision to Joseph Parker, Hughie takes on domestic champion Sexton at Bolton’s Macron Stadium – live on free-to-air television with Channel 5. Never ones for artificial animosity or empty threats, Team Fury were full of respect towards the belt-holder at Thursday’s final press conference in the lavish surroundings of Bolton Town Hall. Hughie said: “It’s about getting in that ring. It doesn’t matter what happens – you’ve got to prepare for everything in a fight. “Sam seems like a decent man and I respect him outside of the ring. When the bell goes in there, it’s a different story. Everything goes out of the window. “I’ve got no interest in disrespecting anyone. Anyone who gets in that ring is risking their life. It takes one punch and you could be in a coma or whatever else. I’ve never been brought up to disrespect anyone anyway. Peter Fury went further and believes the public are becoming wiser to promotion tactics and that the sport could be moving away from the kind of staged fracas that often verge on pantomime. Peter Fury said: “99% of it is fake. They’re trying to sell stuff and it’s fake. I don’t like fake things so I’d rather people let their fists do the talking. Next boxing news: Joseph Diaz Jr. plans on using size to beat Gary Russell Jr.